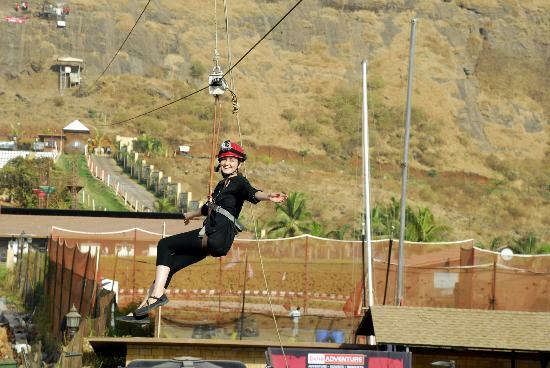 For all those looking for a nice one day adventure trip you can go for Della Adventure at Lonavala. My feelings for this is fifty fifty. MAJOR ADVICE : Try going on days when they are providing a discount. Because the luxury sports such as Dirt Quad Bike is charged extra. Bungee jumping also a separate amount to be payed, it was closed on my visit, but apparently it is way more than the entry amount that you are going to pay as it is. 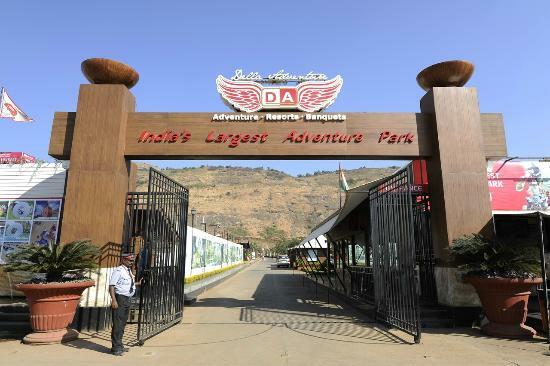 SAVING GRACE : The flying fox ride and the rocket ejector (Included in the entry fee, no extra charges) and a must go if your are an adrenaline junkie. EXTRAS : Besides all of the above, there is archery, gun firing, you can milk a cow, there are pet dogs whom u can take for a walk (Saint Bernard, Dalmatians, Labradors and some of the small dogs), horse riding (except you don't really get to ride the horse, just get on the horse. The Della helping employees take the horse around for you, which is understandable as majority of the crowd visiting won't know how to ride a horse. But i wasn't very happy about it because i know how to ride a horse, and they would not allow me to take control of the horse. You can also ride a cycle there, of course not without the safety harnesses like helmet, knee and elbow pads (if you get sarcasm, but its true). THE LOUNGE : There is a cocktail lounge (so if u like drinking), air hockey, pool table, board games chess and carom, also there is 2nd body motion TV games of boxing, beach volleyball and dance battle too. Car racing TV games as well. The Lounge is pretty posh and also life saver, because its usually hot outside, so you can go inside and chill in the AC. Also, there is restaurant area for lunch and dinner. The food is really good. There is Hookah too (if you really like your smoke). Tina is earning by writing this article. You can also earn by writing articles.